Spring may be on the way but there’s still plenty of comfort food season left. 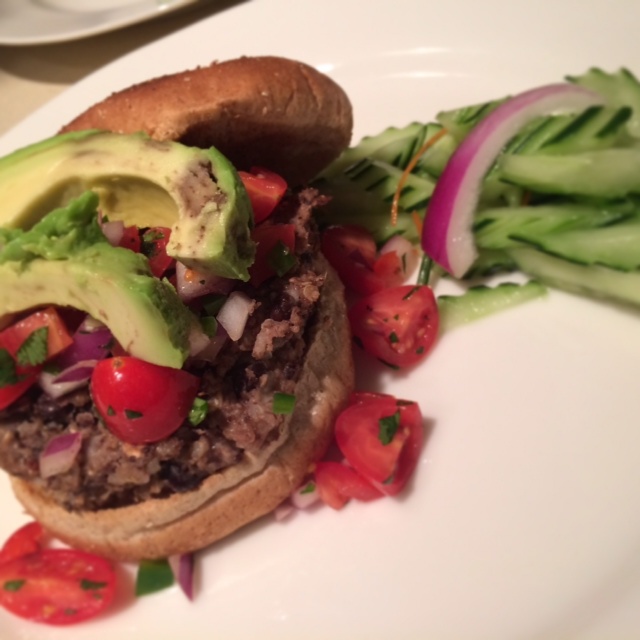 Not wanting to miss out, today I decided to make black bean burgers. 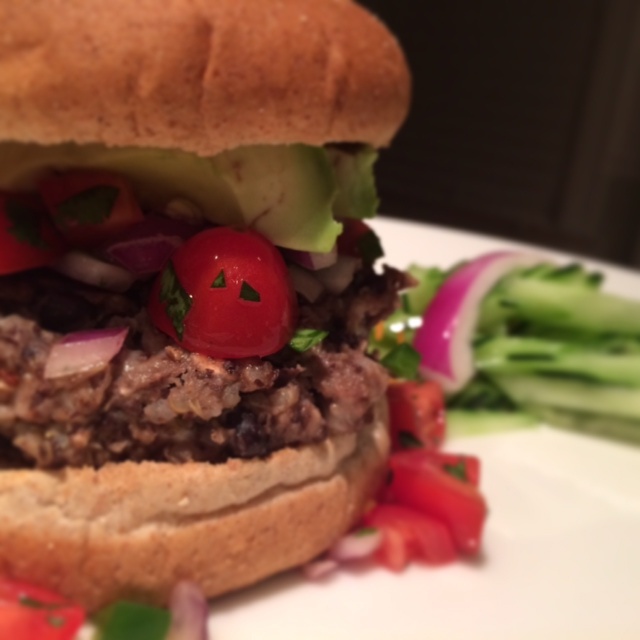 The recipe is simple, using the typical black bean burger ingredients, but this one has the cheese mixed in. The only alteration I made to this was to add quinoa to the mixture. I also made my own salsa. There’s no reason to buy the jarred stuff when you can make your own with just a few simple ingredients and about 15 minutes. The recipe says it makes 4 burgers, but they are small, so if you want heartier portions, maybe increase the ingredients to one and a half or twice the amount listed below. When I make these again, I’m going to add some sriracha to the mixture. The pepper jack was yummy, but didn’t give as much spice as I was hoping for.